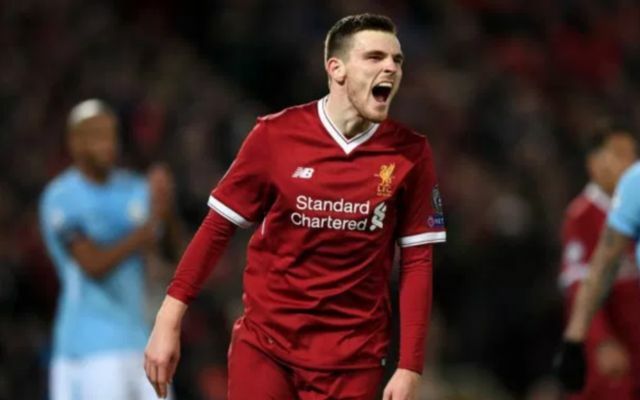 Liverpool are reportedly set to offer key starter Andy Robertson a new long-term deal at Anfield, one that will see him bag a big pay rise on his current deal. This is according to the Mirror, who note that the Scottish international is set to offered the chance to extend his stay at Anfield after his more-than-impressive first season with the Merseyside club. The report states further that Robertson’s new deal will, should he sign it, see him take home a total of more than £60,000-a-week, a sum we’re sure the player himself isn’t too displeased with! Liverpool fans will be delighted to hear that the club are set to hand Robertson a new long-term deal with their side, as the Scot has proved to be one of the best fullbacks in the Premier League in the second half of last season. 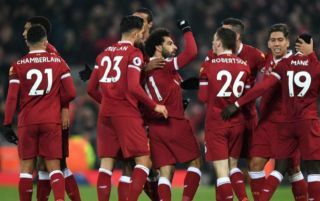 Although the 24-year-old struggled for game time during the Reds’ first half of last season, Robertson was one of his side’s shining stars in the second half of their campaign. The left-back ended up making 30 appearances for the club, helping them achieve a top four finish in the Premier League as well as reach the final of the Champions League. Robertson is surely going to be a key part of Klopp’s plans this year, and seeing him tied down to a new deal will surely give Reds fans the idea that the player is at Anfield to stay.